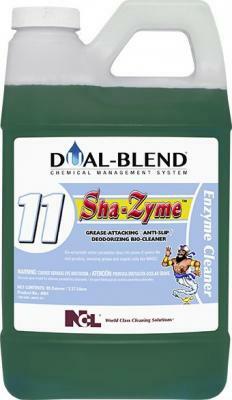 NCL DUAL BLEND #11 SHA-ZYME Grease Attacking / Anti-Slip Deodorizing Bio-Cleaner, 80oz - (4/cs) - FOUR U PACKAGING, INC.
SHA-ZYME™ is no-rinse daily cleaner and degreaser for use on porous hard surfaces such as concrete, quarry tile, ceramic tile, brick, or any grouted floor surface without floor finish or wax. 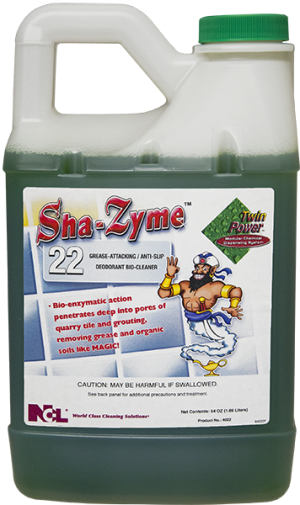 Especially in kitchens and food preparation areas, SHA-ZYME with deep cleaning action removes grease and grime below the surface to make quarry tile floors (and grout) more slip resistant. 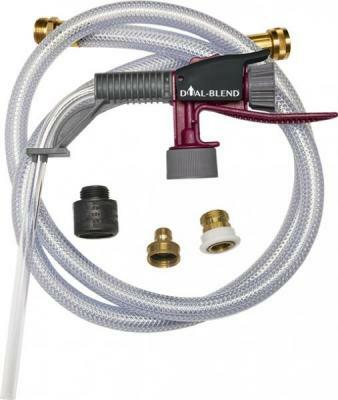 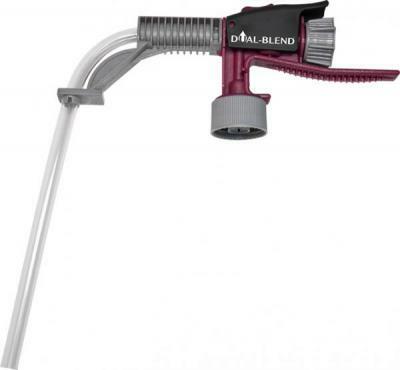 Dissolves organic waste on floors leaving a more sanitary condition. 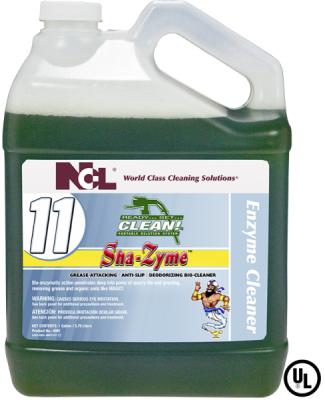 Specialized SMB (Synergized Multi-Blend) biologically engineered bacteria / enzyme combination continues working to consume grease, grime, urine deposits, organically deodorize and brighten floor surfaces. 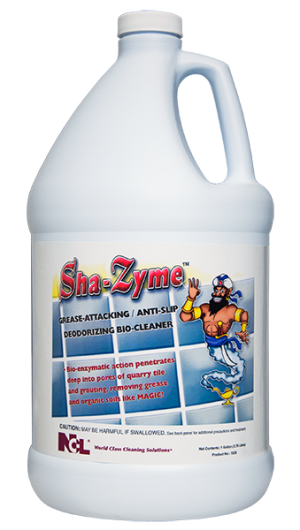 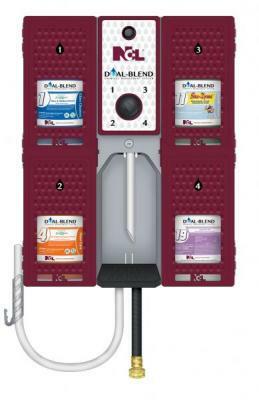 SHA-ZYME™ is recommended for use in food service areas, food preparation areas, restrooms and showers in schools, hotels, hospitals, nursing homes.